Various abandoned garages located in the area of Flushing Queens known as the Iron Triangle. An interior of one of an abandoned auto-body shop located in Flushing, New York. An abandoned car located in the Iron Triangle. Interior of Feinstein Ironworks in the Iron Triangle, Queens. A ramp for BMXing made on the sidewalk in the Iron Triangle. 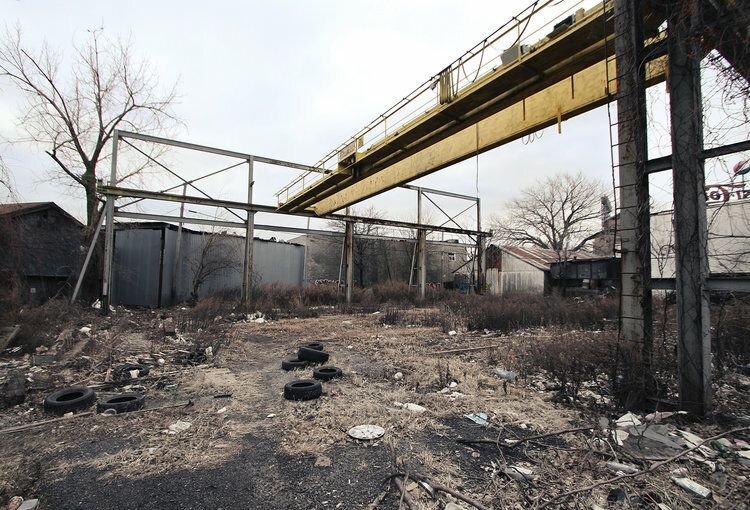 An abandoned lot located within the Iron Triangle, Queens, New York. Interior of an abandoned auto-body shop covered in graffiti in Flusing, Queens. One of the many empty lots filled with old car parts. Most of the lots had holes cut in the fences which led to other lots and buildings. There was a fairly intricate layout there.